Is the Piggyback Rider really safe for children? Yes, it is safe for toddlers and children. The Piggyback Rider has been tested so many times before it came out on the market. Also, a lot of people endorses its use. It is safe because it has body and shoulder straps that can be attached to your kids to make sure they won’t fall off. We made sure your kid is safe and secure behind your back all day long. Can you ship products in different parts of the world? Yes, we definitely ship wherever you may be. Our products can be delivered all over the world so shipping is not really a problem. Your only consideration will be the shipping fee. Note however that our shipping is according to what we have determined is the most cost-efficient way of sending it. Otherwise, you can also choose your trusted courier among the list that will be provided during transaction. Is it advisable to use Piggyback Riders on trips or traveling? 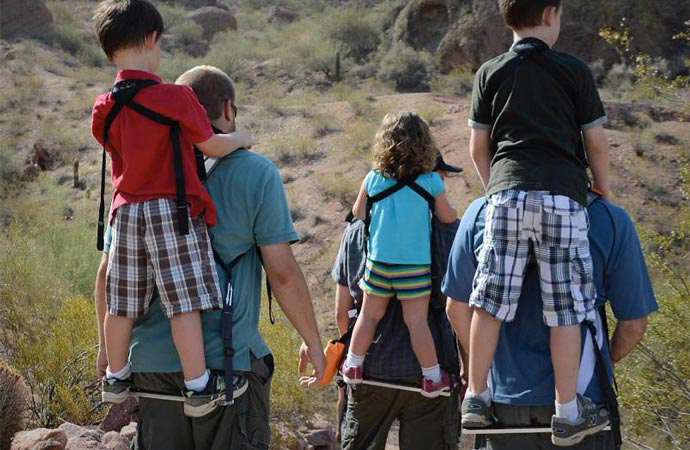 We do advise parents to use Piggyback Riders especially on traveling. It is made for that purpose and it really is guaranteed safe for children. Many people had been loving our creation and we suggest you try it out too! As a parent, it will be easier to carry your children everywhere with the help of piggyback rider. Do you sell any other products besides the Piggyback Rider? At this point, we only sell the Piggyback Rider because we want to concentrate on this niche. However, we are currently developing other products that we feel is needed by families. Continue checking back on this website for product updates. Where can I see your other items? Our other products are still under development. We will be announcing them as soon as they become available on the market. That is why it is very important to continue checking back on this website for updates.